Characteristic for the Festuca rubra aggregate are the islands of sclerenchyma below/next to the (most important) veins. It is hardly recognisable in this photo, but you can see it under the central vein as a small lighter, colourless region next to the cuticula. 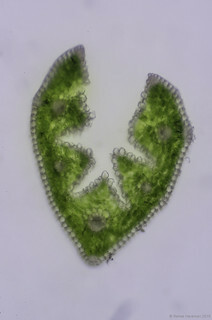 There are sclerenchyma strings next to the other larger veins too, but next to the smaller ones there are only a few cells visible.